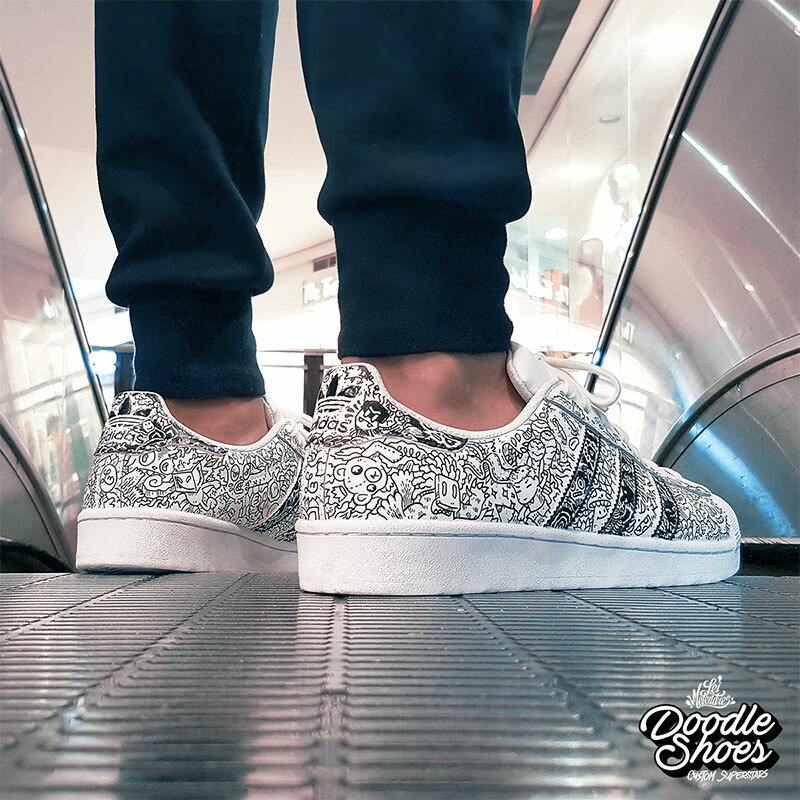 How do you transform some plain white Adidas Superstars into a unique pair of shoes? Hand them over to Filipino illustrator Lei Melendres based in Manila and have him draw his characteristic doodles on them. As the video illustrates, Melendres did it all freehand with no preliminary sketches stating that it was "more fun and challenging that way." Lei provides a general mix of creativity by serving local and foreign clients using Infinity Mix, his own style that describes the intensity of endless details and elements interacting together to form a scene. He uses Doodle Art as his technique and point of reference which is defined by repetition, patterns, monsters, animals, unimaginable creatures, the unknown, and other weird stuff. How do you transform some plain white Adidas Superstars into a unique pair of shoes? 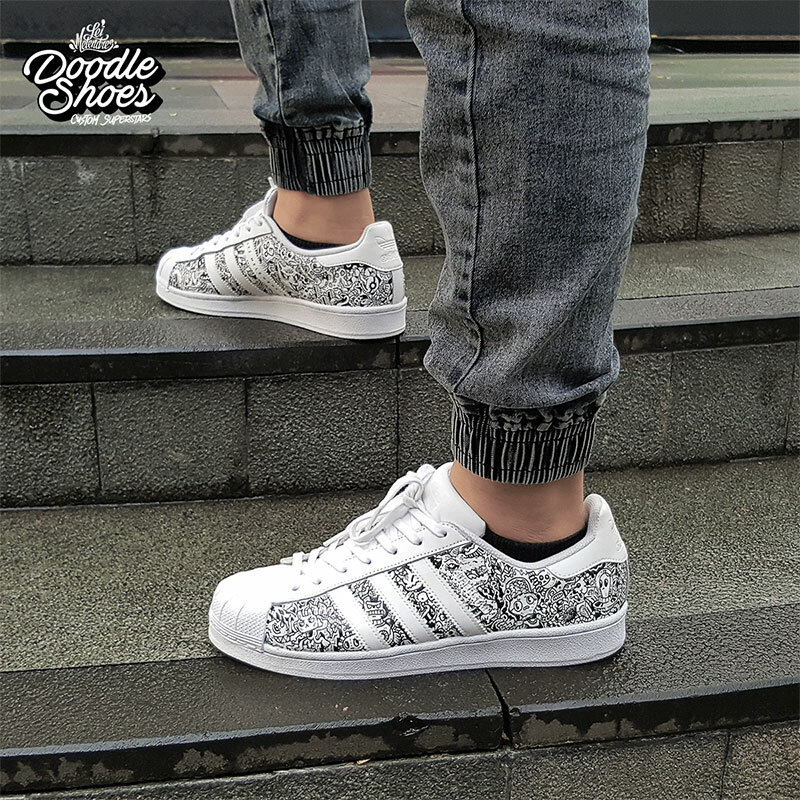 Hand them over to Filipino illustrator Lei Melendres based in Manila and have him draw his characteristic doodles on them.